Klipsch Audio – In 1946 Paul W. Klipsch, inventor, acoustics pioneer and maverick, founded Klipsch Audio with the sole purpose of bringing the power, detail and emotion of the live music experience into his living room. Through the use of highly efficient speaker designs, handcrafted cabinetry and a thirst for real engineering breakthroughs – Klipsch, the great American loudspeaker company, was born in Hope, AR. Today, our diverse range of quality audio products includes speakers and headphones for almost any consumer and professional application – including cinema, whole-house, wireless, home theater and portable offerings. Honoring our founder’s legacy, Klipsch continues to be the legendary high-performance brand of choice for audiophiles and aficionados around the world. We are the Keepers of the Sound®. Klipsch Group, Inc. is a VOXX International Company (NASDAQ: VOXX). Classic Album Sundays founded by Colleen Murphy is the world's most popular record club. CAS allows the listener to fully immerse themselves in the music by presenting the musical context, the story behind the album and an uninterrupted replay of the album on vinyl on an audiophile hi-fi sound system (with phones switched off and no conversation). People learn about the history of the album and then hear things in the music that they have never heard before. The events are mainly attended by non-audiophiles who are sometimes moved to tears when they hear the details of their favorite recordings. The Audio History Library attempts to document the genesis of the audio industry. The AHL is a 501(c)(3) not-for-profit educational charity serving as the world’s only repository and resource for the technological history of acoustic and electronic products that have made possible the very existence of the radio, television, concert touring, film (other than silent) and recording industries. 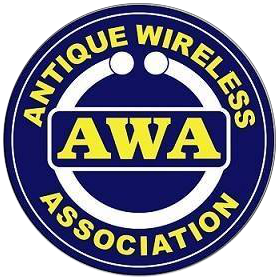 The Antique Wireless Association vision is to preserve and share the history of technology used to communicate and entertain from the first telegram to today’s wireless text messaging.